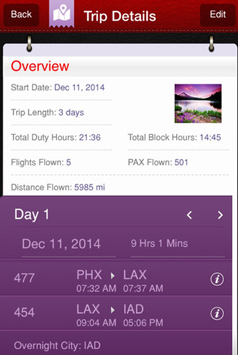 This app was conceptualized in a way that it keeps track of the air crew. 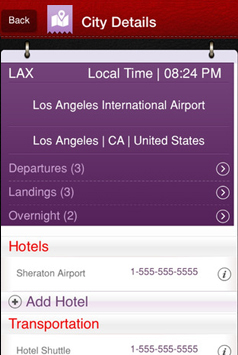 To all the pilots and flight attendants, here is a smart mobile app designed and developed just for you. 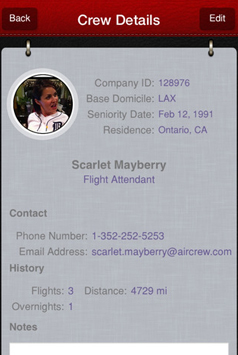 AirCrew would be serving the flight attendents as a handy pocket pal. Thousands kilometers up in the sky, an app will be tracking and managing users' trips, hotels, flights, expenses, crew members and many more. AirCrew will even manage the expenses of yours on shoe polish and uniforms last year. Client approached us to develop a mobile app that can be a solo, smart help to the air crew, keeping record of crew members and other travel companions. Besides, the app must be able to keep records of and manage how many flights and kilometers/miles have already been traveled so far. Well, that's not it. Client wanted it to keep a track of user's hotel details and also contact information of each city visited. 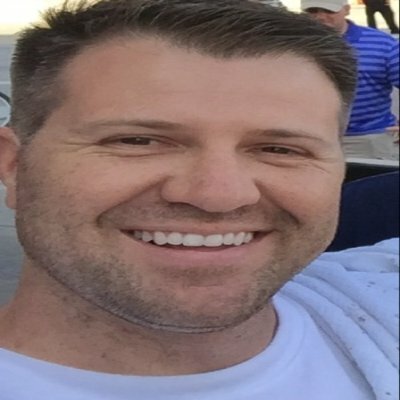 The app was asked to have 10,800 airports (which is to keep increasing over a period of time) No matter if the user is a commercial crew attendant or occasional air crew member, AirCrew had been designed to serve all. 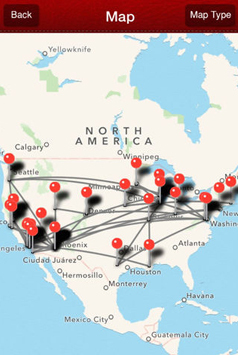 Keep tracks of cities and hotels visited. Keep records of kilometers and miles traveled. The solution we designed for our client is comprehensive in all terms and worth the time and money invested. App was conceptualized following multiple consultations and one on one discussion. Be it features, operational convenience, navigation and loading time - It came out to be exactly how it was expected. Front-end Our developers made sure that the app worked well on Android and iOS. The application used Swift, Objective-C, etc., for designing a robust front-end. Here are the highlights of the front-end of the application. Although it's pretty much evident that technology is constantly evolving, however some basics should never be avoided or replaced. A good app is defined by how well it's running since the day it went LIVE and how satisfied its end users are with the improvements made over a certain period of time, in-app navigation simplicity and little or no experience of crash while loading. And, finally, an easy to reach customer support desk.